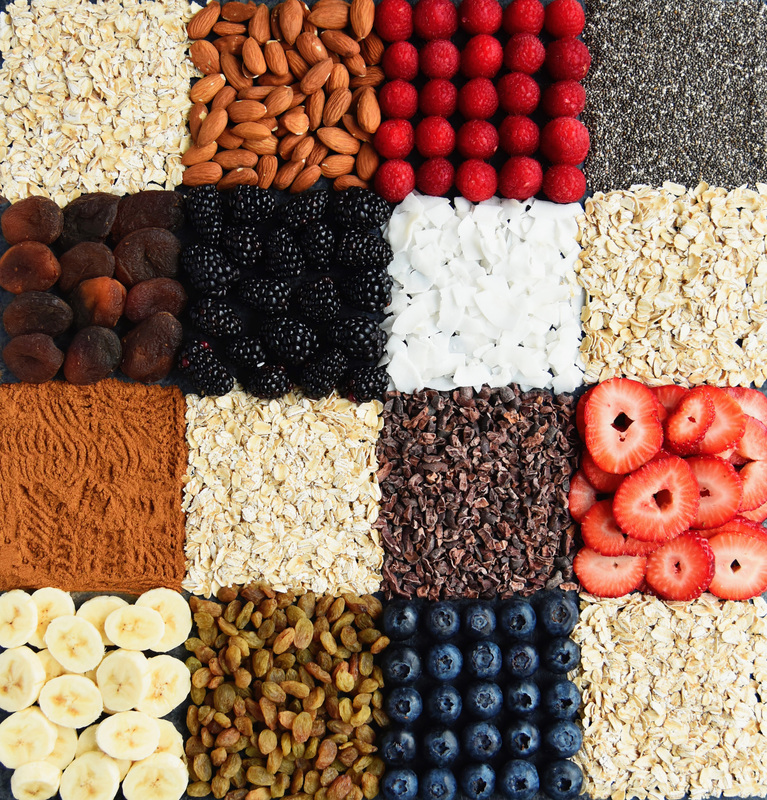 We're all about Overnight Oats as an easy, on-the-go breakfast! Our partner Quaker Oats is making it even easier to master the perfect overnight oats with their Amazon Echo app that comes programmed with a number of delicious & easy recipes! 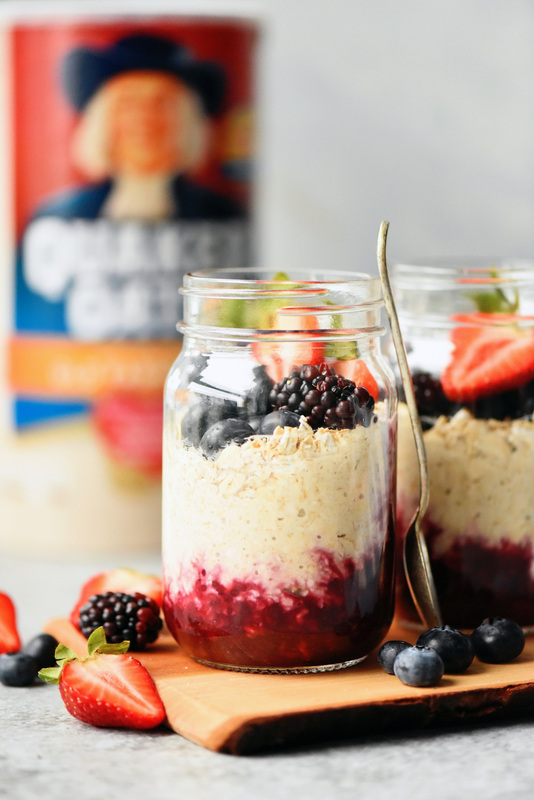 We gave it a try and made these Berry Overnight Oats with Mixed Berry Chia Seed Compote. You can make it completely in advance and store in glass jars so that you can grab & go with ease. Spread berry chia compote at bottom of jar. In a separate bowl or container, mix milk, oats and vanilla and stir to combine. Add to jar and top with berries. Seal in airtight container and refrigerate overnight. In a small saucepan, combine all ingredient except chia seeds. Bring to a boil, and reduce to a simmer for 15 minutes, stirring occasionally and mashing the berries with the back of a wooden spoon. Remove from heat and stir in chia seeds. Let thicken and cool and refrigerate in airtight container for 1 week.